We Chair - "Conversation between us"
The seating is redefined into an abstract exploration dialogue between material and geometry. 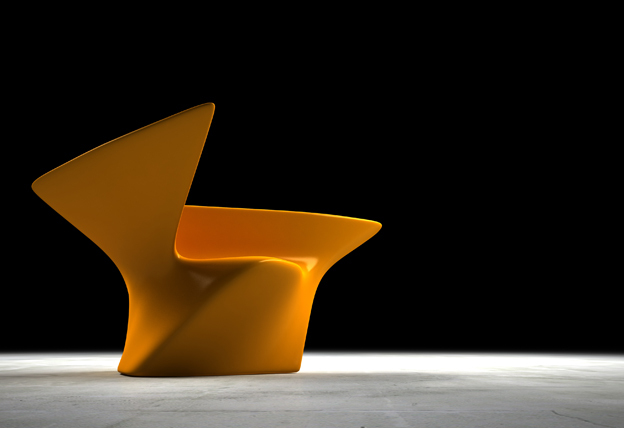 Veuve Clicquot Seamless Seating is a state-of-the-art technology and design piece. This convey a piece of furniture that bears the famous label, resembling an organic three-dimensional object of cloned elements that together creates an 360ÃÂº sculptural furniture by having the two separate entities embracing.